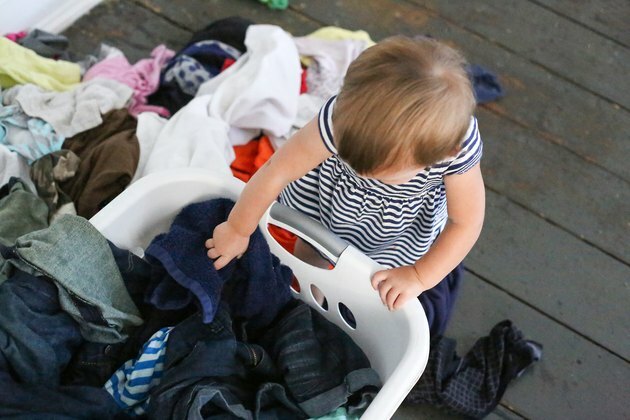 There’s more to washing your clothes than just dumping them into the washer and adding detergent or fabric softener. To manage this essential and routine household chore with ease, you need a goof-proof laundry plan to extend the life of your wardrobe and keep your clothes from fading or shrinking. Begin by dividing your laundry into small colored piles: lights, whites and darks. Next, separate heavy denim and wool fabrics from lightweight delicates such as dress shirts and blouses. Also, place any fuzz-depositing fabrics such as terry cloth and corduroys away from lint-collecting fabrics such as synthetic textiles and velveteens. 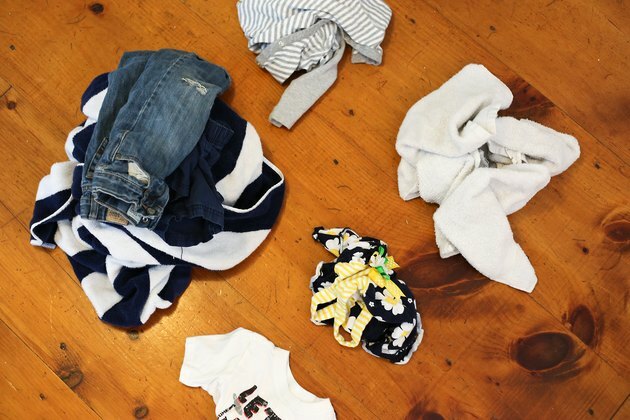 Create a separate pile for extra-soiled items, such as clothes with stains, that need pretreating. To keep your spills and spots from clinging to your dresses, shirts and pants, treat stains with a prewash product. 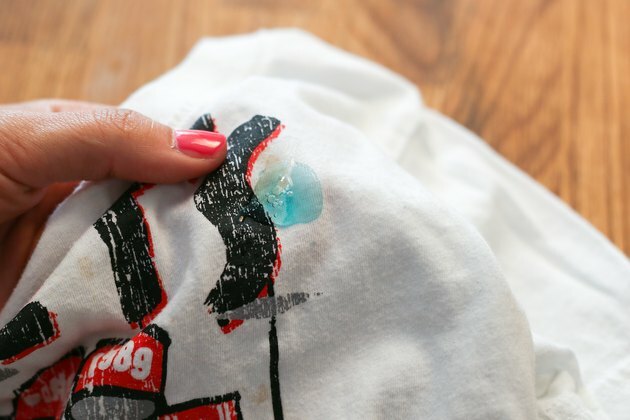 Fresh stains are easier to treat than caked-on stains, so act fast to avoid the spot from setting into the garment forever. If the clothing item is not washable, or you cannot recognize the stain, take it to the dry cleaner immediately for cleaning. 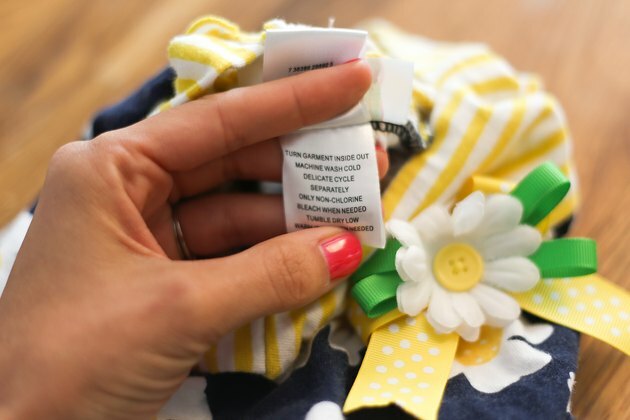 If the fabric care label requires you to hand-wash your items, fill a medium-sized basin with lukewarm or cool water and a teaspoon of detergent. 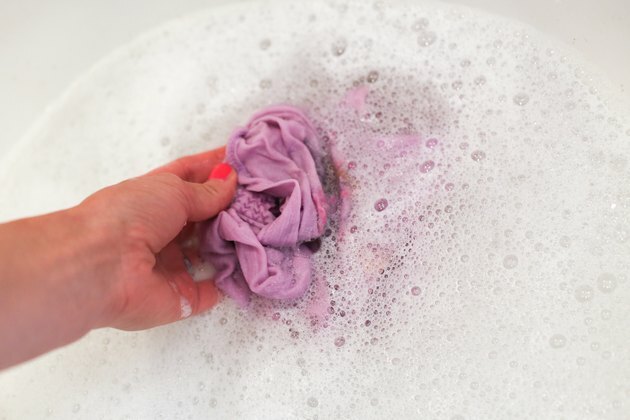 Swirl and swish your delicates, silks and woolens into the sudsy water for three to four minutes. Rinse the items in cool water to remove the soap residue. 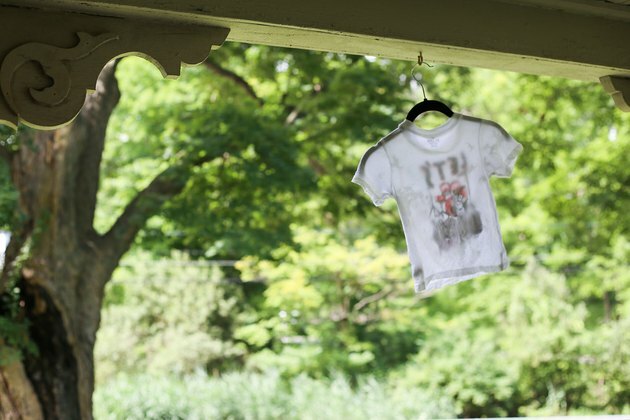 Hang the items to dry on a drying rack, or lay them flat on a large towel to dry overnight, away from direct sunlight. Select the proper water temperature for your garments. 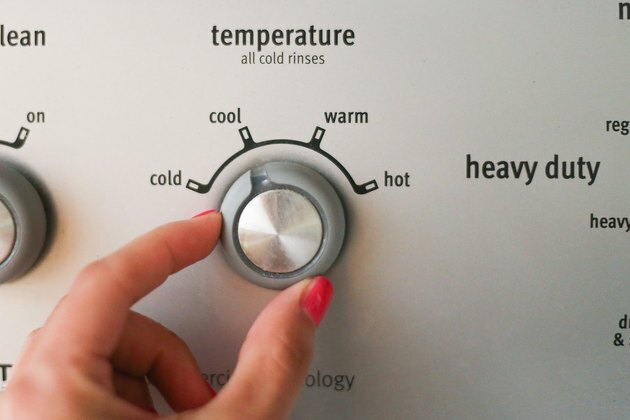 To clean clothing in the washer, use a hot water setting for your whites; set the washer on a warm setting for moderately soiled clothing, washable woolens and blends. Cold water is best for cleaning denim, sweaters, fine fabrics and any clothes that could shrink. Use the normal or regular cycle for heavily soiled items such as linen, sweatsuits, denim or cotton T-shirts. Set your machine on permanent press for rayon, polyester and knitted fabrics. Place the washer on the delicate cycle when washing silks, lingerie and embellished fabrics. Use only the amount of product -- detergent, bleach or fabric softener-- indicated on the product’s package to prevent any film remaining on your garment. Load the machine loosely to about three-quarters full to prevent clothes from tangling in the agitator. After the washing cycle is complete, immediately dry clothes on a clothesline or machine dryer to prevent mildew and mold growth. Use a machine dryer on a medium or low-heat setting to tumble-dry cottons, polyesters and items that do not stretch. Drying washable knits, Spandex, drip-dry clothes, silks, polyester and cotton T-shirts tend to shrink them; instead, hang these garments on wooden or padded hangers to dry.